Beginning in 1946, the first 77 boats were built of wood (most by Barkhouse Boatyard Ltd. of Nova Scotia). The designer, W. J. Roue, granted McVay that rights to build the boat in fiberglass which began in 1960 and continued until 1972. 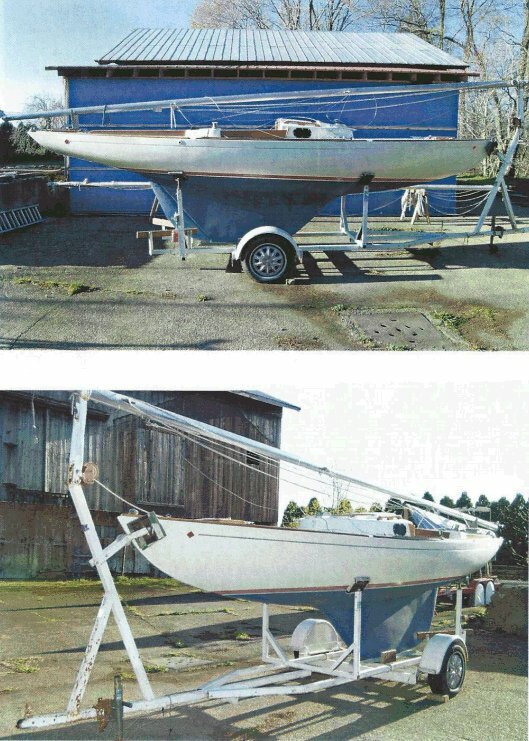 The fiberglass version was given a small cuddy immediately behind the mast. A few keel/cb versions were built. A later builder (2010) is Herring Cove Marine. www.herringcovemarine.com. Thanks to Jack Gutter, BLUENOSE owner, and boat historian, for updated updated information and photo.